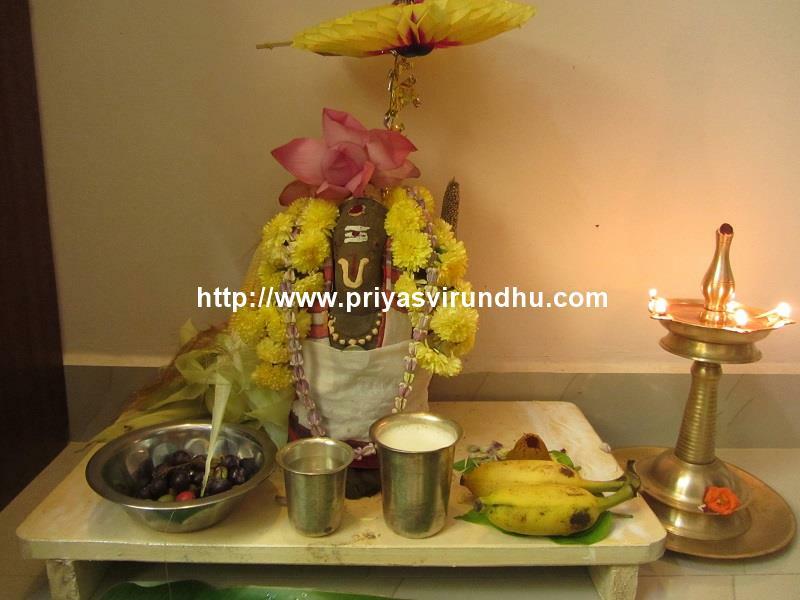 Today I am going to share the fish names both in Tamil and English. I visit fish market one or two times every week. 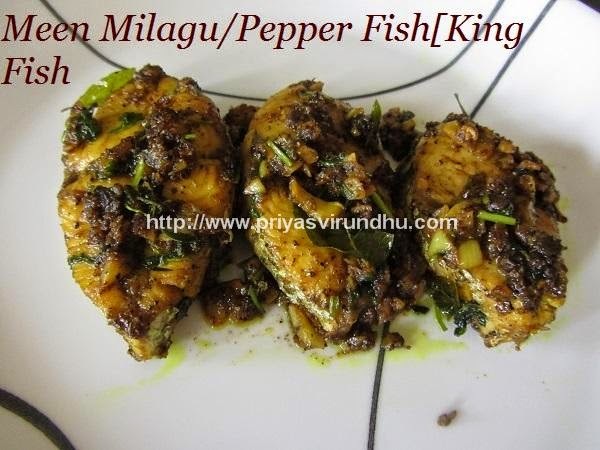 Though I know the names of fish in Tamil each time I used to google to find out the English names. I have googled most of the fish names and made a glossary, so that it would be useful for everybody. Next time, I am planning to click photos of each fish and update this post whenever possible. Ok friends, if you find anything wrong or if you would like to add more fish names please keep me posted. Here’s the list of fish names in both English and Tamil. The above is Kola Meen after it is cut, which I made this week end. 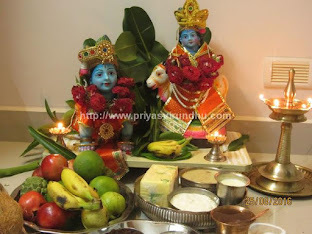 Will share recipes of the same soon. 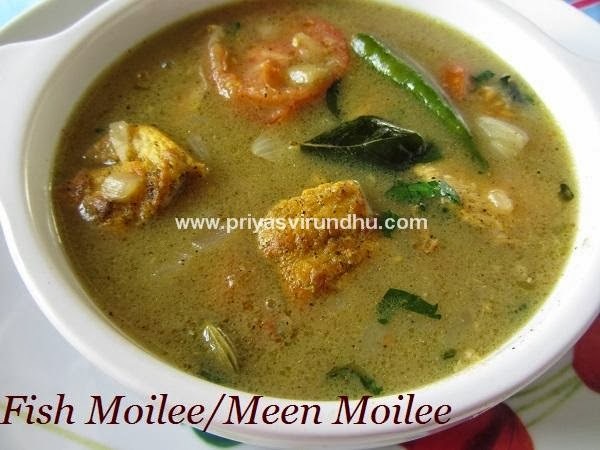 Fish Moilee is a very famous South Indian – Kerala special made with coconut milk , green chillies and spices. Meen Moilee is extremely easy to make, it is really very mild and perfect for even younger kids. 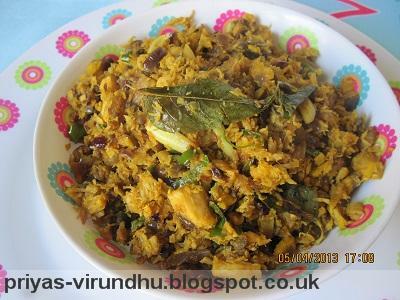 Try out this traditional and authentic dish of Kerala and have a great day. 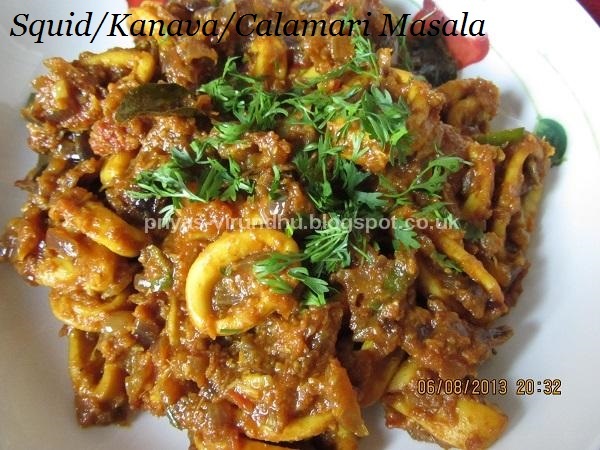 This Squid Masala/Kanavai Masala is a very famous Kerala cuisine of South India. Squid is consumed in many parts of the world. 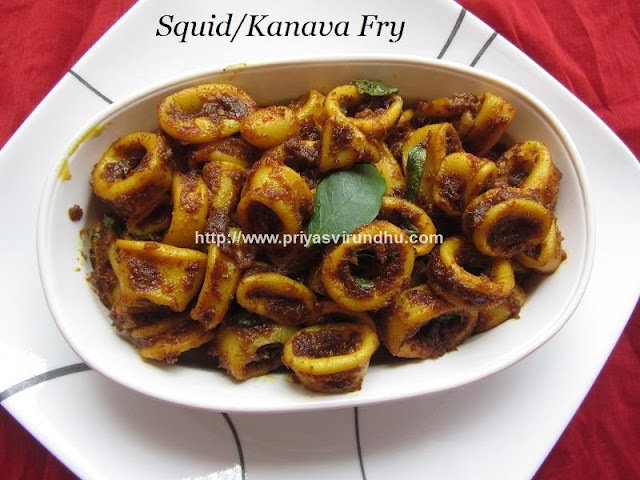 In India and Srilanka squid is eaten in coastal areas like Kerala and Tamil Nadu. They are either fried or made in to squid gravy. 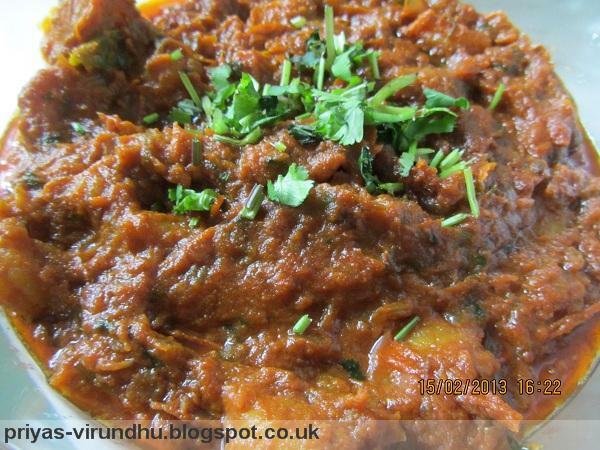 This squid masala is one of my favourite dish. 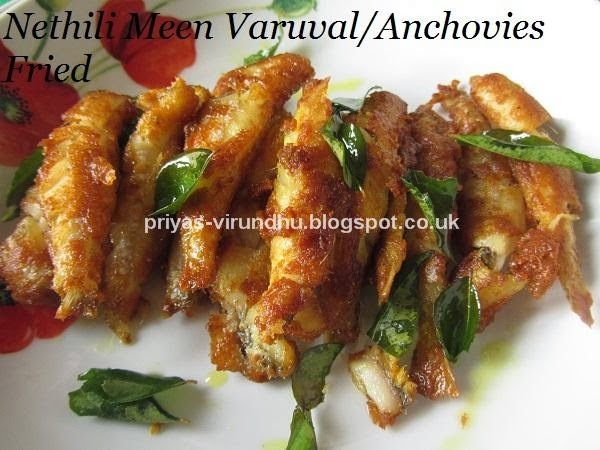 It is very delicious and the most interesting part is, it can be cooked in 15 to 20 min. 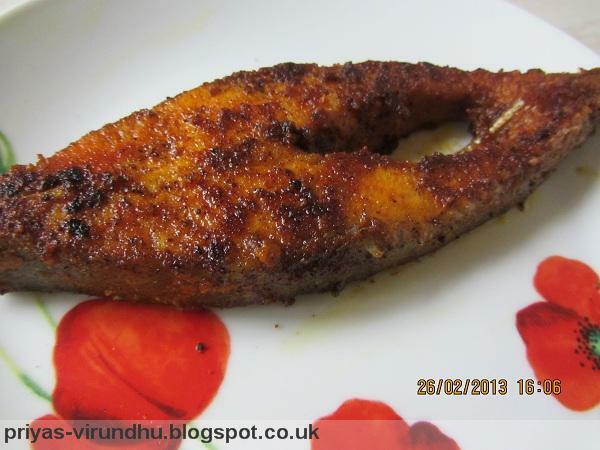 This is my mom’s special meen kuzhambu, there are different versions of meen kuzhambu made in each house hold. 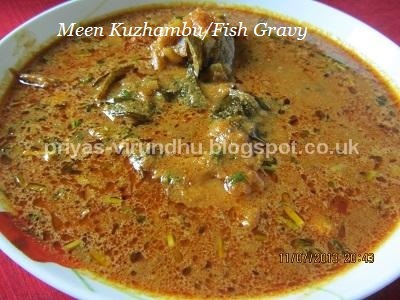 But I love my mom’s meen kuzhambu, even now when I visit my mom’s house, the first thing I ask is fish gravy. My MIL makes a different one which I will be posting later. 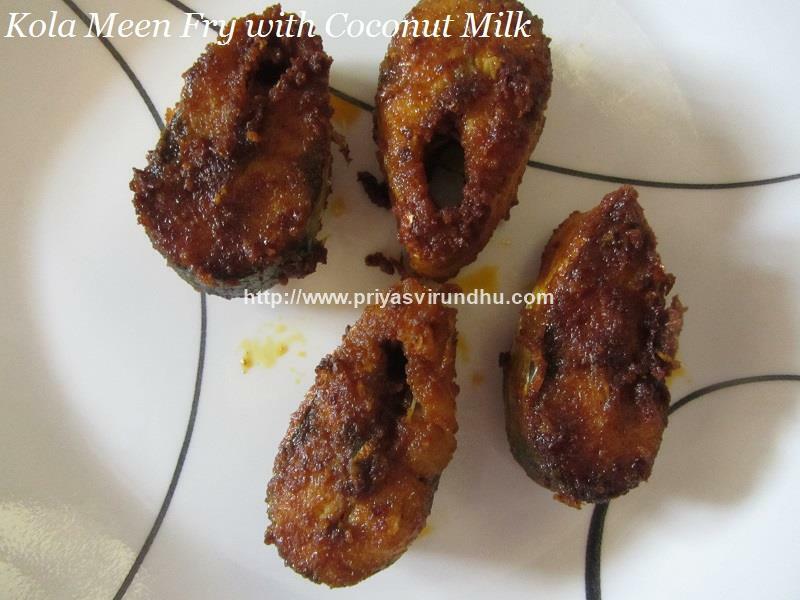 Here comes my all-time favourite and mouth-watering meen kuzhambu. 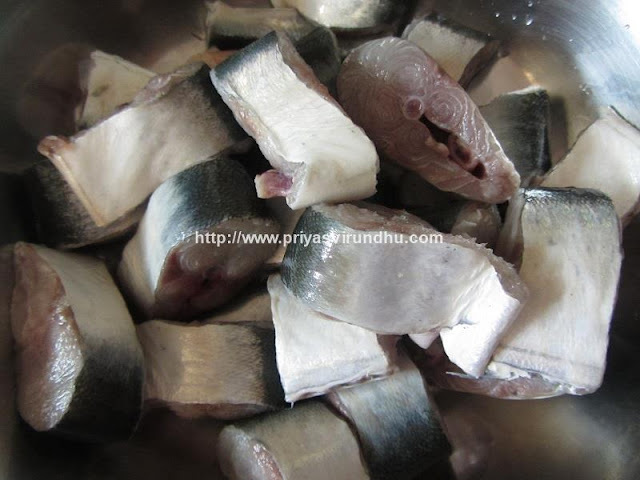 Sura Puttu/Shark Puttu is a very simple and famous dish in South India. 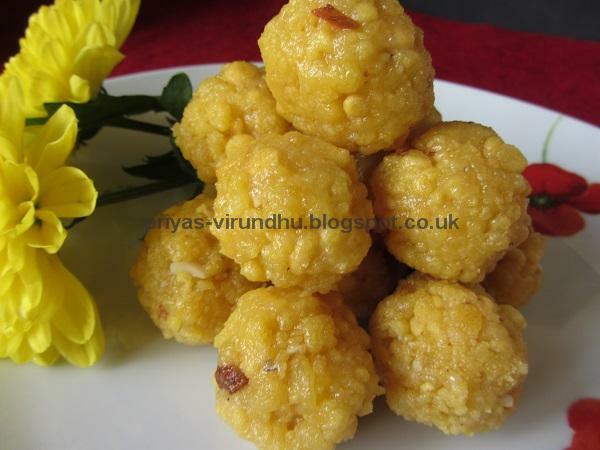 This is one of my mom’s best recipes and I always follow the same without any modifications. 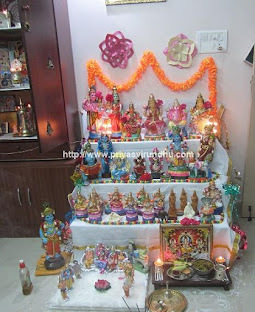 It is my all time favorite. Puttu is one easy way to get the kids to eat fish. 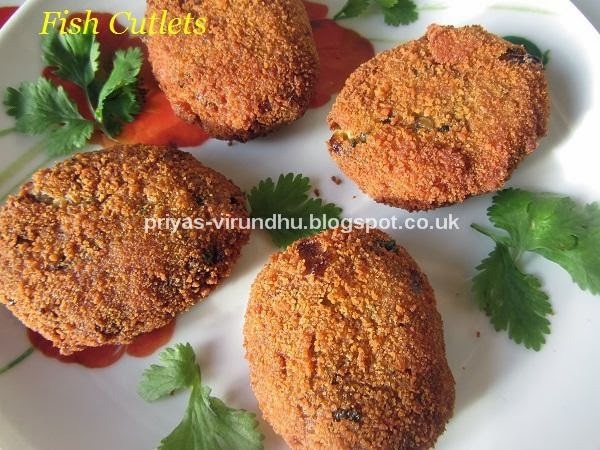 This shrimp/prawn fry is very easy to make and can be done in 15 -20 min's. When you are in a hurry to make some non -vegetarian side dish, this can be the one you can count on. It is very yummy and delicious. 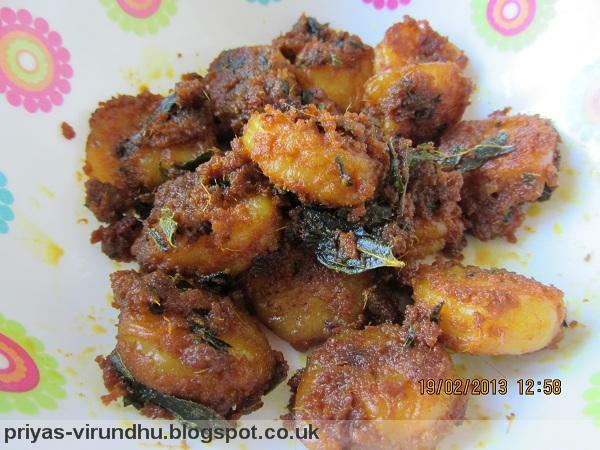 Shrimp thokku is a very yummy dish which my mom makes all the time. I just love the taste of the masala, which I can never forget. I learnt this recipe from my mom and my kids just love them. 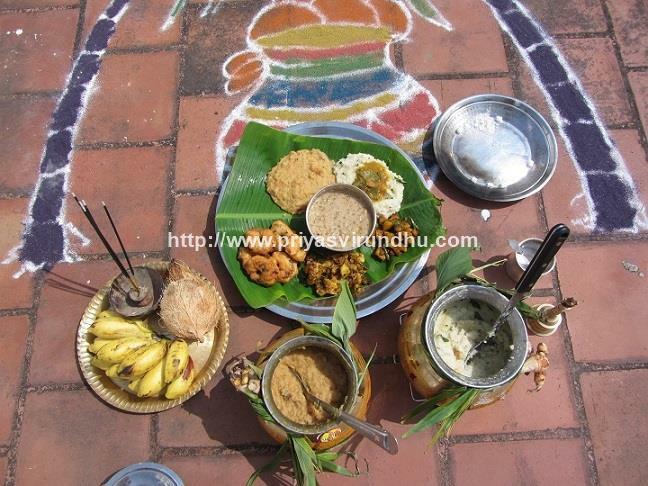 Your menu for the day can be very simple like milagu rasam and shrimp thooku with white rice.